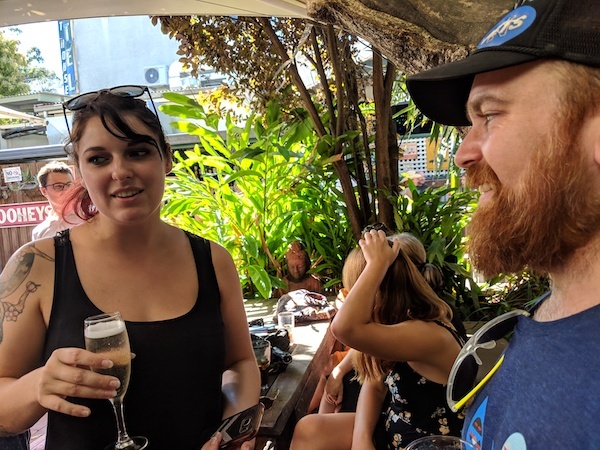 Sunday 17th of Feb 2019 saw the first Sundowners drinks held for several months, and felt like a welcome return for all who attended. 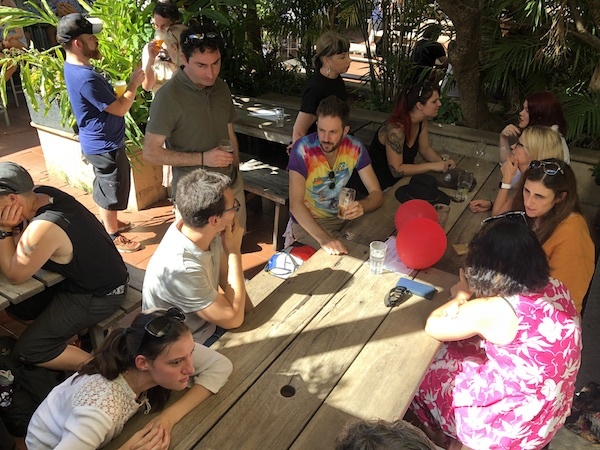 We had a strong turnout at the Courthouse Hotel on a sunny Sunday afternoon in Newtown, with a mixture of old and new faces, and a well selected corner of the beer garden all to ourselves! Conversations ranged around a variety of topics, from what shows people were working on, to what had happened to a variety of old friends. 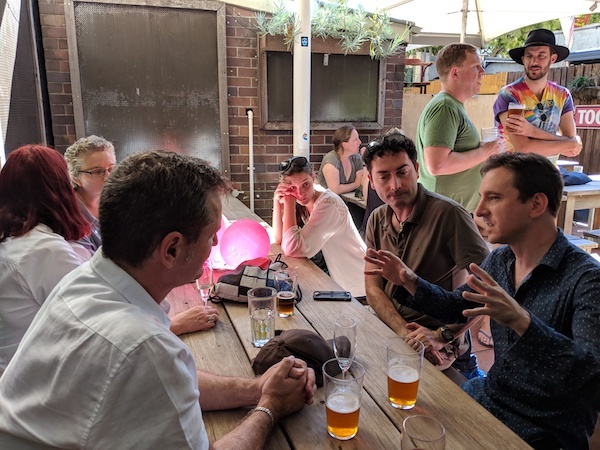 Fresh faces were warmly welcomed, and given advice on where to look for career opportunities in Sydney, while older faces shared a variety of war stories, and rejoiced in how they’d survived many of the perils of the editing world. The mixture of warm sun and good company made for a pleasant afternoon! 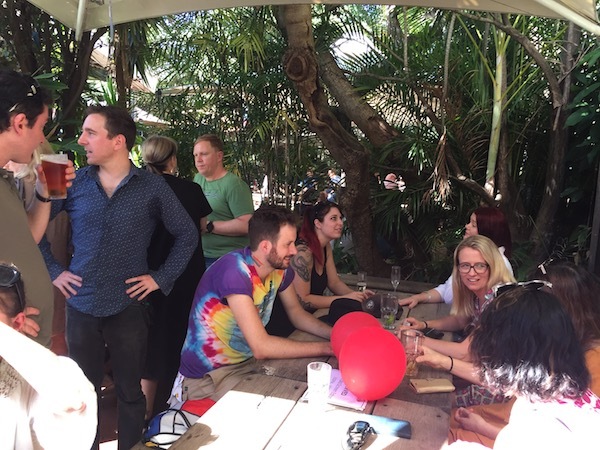 We plan to hold Sundowners every two months, so keep an eye out in April! 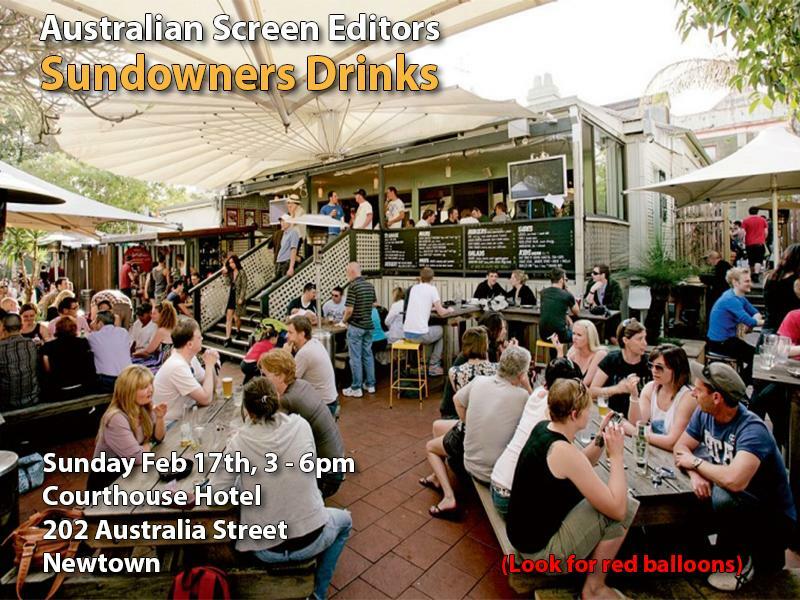 JOIN US FOR THE FIRST SUNDOWNERS FOR 2019! You'll find us near the red balloons!